March 11th 2017: Fibre stash sale and give-away! 2 – 4 p.m. – Play Time! We’ll have chairs set up and the tea kettle on. After you check out the Stash Sale & Giveaway, you can try out your new treasures or work on your latest project (or a UFO you’ve been meaning to finish) and knit, hook, stitch, spin or otherwise play with fibre. Reserve an individual table to sell your work, or share one with a friend (you work out the sharing details). Cost for a 6-ft table is $10, and you tend your own table. Donate items to SOFAAR. We’ll sort them into “sale” and “give-away” categories, display them and staff the tables. Funds raised from SOFAAR sales will help finance our programs for the year. Use the opportunity to add to your stash at bargain prices! ·Tell your friends about the sale and encourage them to come. If you want to reserve a table, contact grace.butland@bellaliant.net by February 28. If you have items to donate to the SOFAAR tables, please get them to Christine Igot (Christine@latext.com) by February 24. Sofaar is excited to officially launch the detailed information package about its Fabulous Fall Fibre Retreat which will take place in Annapolis Royal the weekend of September 29th to October 1st. 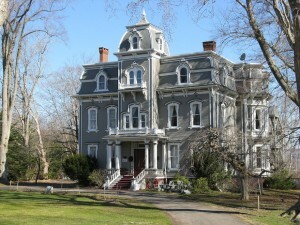 Accommodations will be at the historic and beautiful Queen Anne Inn. Attendees will enjoy their fibre arts get-away weekend working on their projects in the Inn’s beautiful parlours. You can stitch the weekend away and explore the birthplace of Canada while strolling along the river, taking in the Farmers’s Market, visiting Canada’s First National Historic site: Fort Anne and enjoying fabulous breakfasts and a three-course Saturday evening meal at the Queen Anne Inn. Attendees will have a special guided tour of the Historic Fort Anne tapestry and a visit to the local gallery featuring a SOFAAR fibre exhibit. Why not bring a fibre friend and spend a lovely weekend with like-minded fibre enthousiasts!